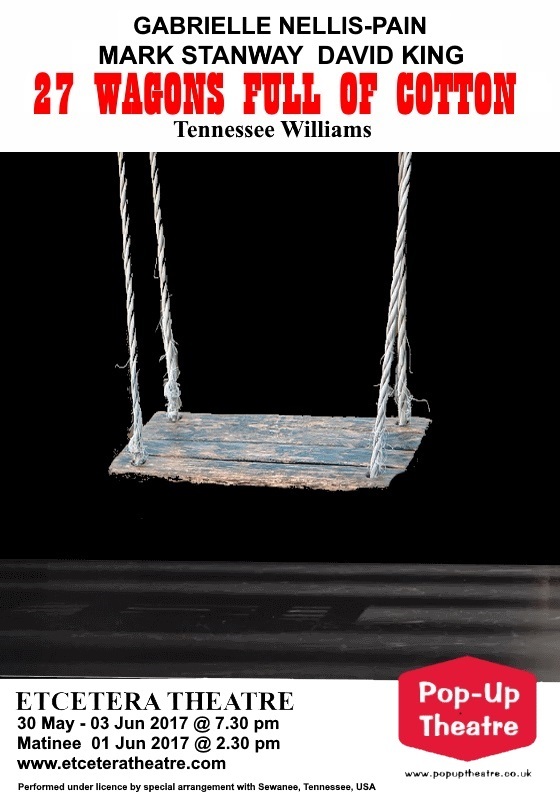 Pop-Up Theatre presents Tennessee Williams controversial one act play 27 Wagons Full of Cotton. A stellar cast of rising talent brings the themes of his play alive – the disintegration of Southern values and the brutal seduction of a fragile childlike woman. It is from this play that Tennessee Williams developed the script into the movie Baby Doll. Run time 60 minutes approx. This performance has been rescheduled to Autumn 2017 details coming soon.